CADDESK Consulting Resurces, LLC has been at the forefront of the FDOT Civil 3D State Kit. We have been training FDOT staff and a few Consultants for the past 3 years on the FDOT Civil 3D State Kit. Now it is time to get the FDOT Consultant Community prepared to deliver FDOT projects using the FDOT Civil 3D State Kit. We have the most experience delivering training on FDOT workflows using the FDOT Civil 3D State Kit. Don't waste time and money trying to figure it out on your own. Do it right the first time. Contact us before you begin using the FDOT Civil 3D State Kit. 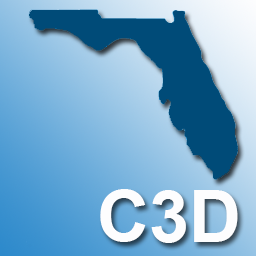 Civil 3D Workshops are coming to a city near you (if you are in Florida).